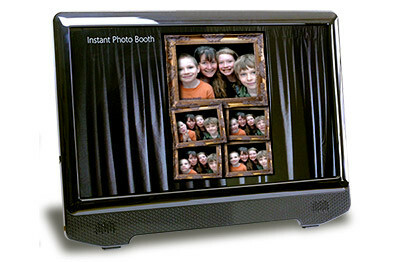 When there is a lull in photo booth customers, Instant Photo Booth can display a slide show of previous session images. Wedding guests will see their friends and want to join in the fun! A slide show can run on the main start screen after a specified amount of idle-time. You can also run the same thing on an second monitor or projector with the Multiple Monitors feature. Images fade in and out smoothly and can optionally zoom and rotate to create more interest. Finally, the name associated with the image can be displayed as well if you are using the Guest Book feature.